The body’s reaction to surgery depends on many factors, including the type and location of the surgery, the aftereffects of anesthesia, and the patient’s overall health. Beyond the variation from person to person, all surgery is trauma to the body – the entire body – and induces a common and predictable response beyond the immediate surgical site. Surgery induces a stress response that produces metabolic change. Put simply, all the body’s energies are redirected to repair and heal the damage at the surgical site, leaving the rest of the body to fend for itself. So, for example, areas like the skin, hair, and nails may become thin, dry, and brittle as they lose the elements that normally support their constant building and replenishment. The most noticeable post-surgical reaction is swelling, caused by a process called “third spacing.” Most of the fluids in the body are found in three places: the cells, which hold about two-thirds of the body’s fluids; the blood vessels; and the spaces between the cells, known as the “third space.” Under normal conditions, fluids move freely and balance is maintained between these three spaces. The trauma caused by surgery causes the capillaries, which are tiny blood vessels, to leak, letting fluid shift from the blood vessels to the third space – the areas between the cells. The resulting swelling will appear along with bleeding and bruising at the surgical site, but may affect other parts of the body as well, with the skin becoming swollen and stretched out. Swelling is a normal and important part of recovery. It increases blood supply to the surgical site to promote healing. When a patient does not understand what is going on, however, swelling can be emotionally distressing. Sometimes patients wonder if special supplements that can improve healing, but then forget how important it is to restore the body’s needs through good nutrition and food. The body heals from the inside out, and a well-balanced diet is essential. Lean protein: Collagen, the most abundant protein in the body, plays a key role in repairing damaged tissue. After surgery, extra protein may be needed from sources such as red meat, fish, poultry, eggs, beans, and legumes. Iron, found in liver, red meat, and green leafy vegetables, is vital to replenish red blood cells. Fluids, six to eight glasses of water a day, will help reduce the swelling and puffiness caused by fluids that leaked out of the capillaries. Fiber: Anesthesia, pain medication, and reduced activity all work to slow down the gastrointestinal system, causing constipation. Along with plenty of water, foods that can help include beans and legumes, bran flakes, oatmeal, apples, pears, and prunes. Citrus fruits and bell peppers are excellent sources of vitamin C, which is depleted by stress. Pineapples and papayas contain enzymes that help digest protein and reduce swelling and inflammation. Also, it may be necessary to eat more than usual to compensate for the extra energy needed for healing. If person’s basal metabolism requires 2,000 calories a day to remain at a steady state, after major surgery 3000 calories a day may be necessary to allow a patient to maintain basal metabolism and heal, for example. Some patients find the need to consume additional calories difficult after an operation because they have a loss of appetite. Finally, it is crucial to begin moving as soon as possible after surgery. Even walking has tremendous benefits, such as reducing the risk of blood clots and expanding the lungs. The most common cause of fever after surgery is atelectasis, in which shallow breaths cause the alveoli [tiny air sacs in the lungs] to collapse. 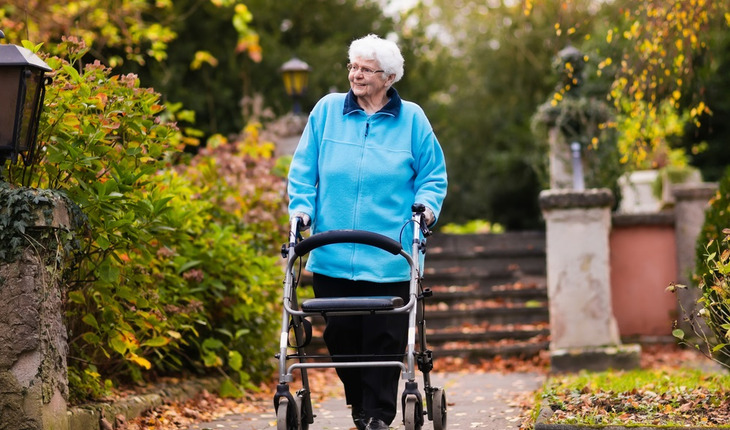 The risk of developing atelectasis is reduced by simple ambulation. The body gets debilitated very quickly and needs to move. The joints feel creaky. Even gentle stretching is helpful to stimulate the muscle fibers and overcome stiffness. After the immediate healing has occurred, exercise also gets your heart rate up so that the blood is moving and your lungs fill with oxygen. An overall feeling of well-being will help you look and feel better. And finally, every patient should carefully follow instructions after surgery. That said, sometimes the body just needs a chance to heal. At the end of the day, the most important element is tincture of time. Although we are all understandably impatient to recover as soon as possible, wounds often just need time to heal. Constance M. Chen, MD, is a board-certified plastic surgeon with special expertise in the use of innovative natural techniques to optimize medical and cosmetic outcomes for women undergoing breast reconstruction. She is Clinical Assistant Professor of Surgery (Plastic Surgery) at Weill Cornell Medical College and Clinical Assistant Professor of Surgery (Plastic Surgery) at Tulane University School of Medicine. She is also Chief of Microsurgery at New York Eye and Ear Infirmary of Mount Sinai. For more information, visit www.constancechenmd.com.